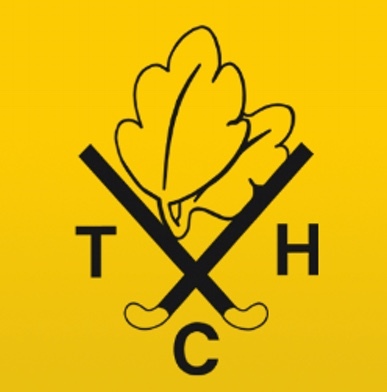 It was another great win from the Ladies Thurrock 2nd XL this weekend against Chelmsford. It was a quick start to the score board as an early goal was scored by Rebecca McKenna from a short corner who managed to push it through the legs of the keeper. Other opportunities were created in the first half but unfortunately none of these resulted in changing the score line. A quick change at half time with a more attacking side, saw Thurrock increase the score line to 2-0 with Sarah Judd scoring. Thurrock’s defence were no match for Chelmsford as no goals were conceded and their clinical play saw only one short corner given in Chelmsford’s favour. Thurrock went on to score two more goals, another from Sarah Judd and the last from a great ball hit across the ‘D’ from Jade Franklin onto the stick on Cheryl Broadbent, who hit it home. Next week, Thurrock are at home to Southend and Benfleet and hope to continue their strong form. Thurrock were hoping for a win after their first loss of the season the previous week. With bare 11 they knew it would be a tough match against East London. They started well with lots of opportunities for forwards Katie Jacks and Nikhol Chapman, the first goal eventually came after a great run through East London’s defence by Katie Jacks resulted in Thurrock’s first goal before half time. The second half Thurrock had settled and were passing well between each other and making sure that East London were kept away from our goal. Defenders Sally Ellis, Emily Wynne and Sarah White had their work cut out as East London attacked hard but they were unable to capitalise and get past the Thurrock defence. Katie Jacks carried on doing what she did best which resulted in goals 2 and 3 for Thurrock and a well deserved win for Thurrock. Man of the match Katie Jacks. Thurrock are away at Maldon this weekend. Thurrock Ladies 3s knew they were in for a tough match when they welcomed top of the league Old Southendians to Palmers on Saturday morning who have won 15 of their 16 games this season. Thurrock started really well and pushed up which seemed to take Old Southendians by surprise but their defence held Thurrock out. Eventually Old Southendians turned the pressure back on Thurrock and started to string together attacks. Thurrock’s defence Tracey Martin, Laura Reynolds, Jess Mager and Hannah Barcham did an amazing job of keeping them out but they didn’t let up and scored their first goal. Thurrock didn’t let this get them down and continued to push for an equaliser but Old Southendians scored again. Thurrock were very glad that they did have an extra player when Sally Taylor accidentally got in the way of a beautifully struck pass by Hannah Barcham which caught her right on the knee but 5 minutes rest and the magic sponge and she was back on the pitch giving Old Southendians the run around! Thurrock tried switching their line up about to see if they could get a goal of their own but Old Southendians defence showed that it’s no fluke that they have kept 8 clean sheets this season. Final score 0-5. Girl of the game was shared between Jess Mager and Izzy Overy.